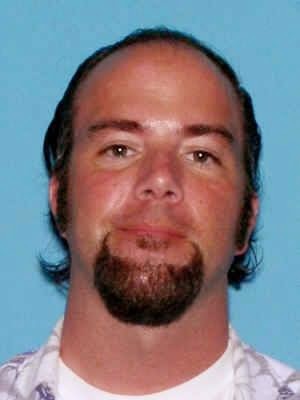 The Township of Hamilton Police Department is attempting to locate David McAvaddy, age 41, of Egg Harbor Township, NJ. David is wanted for Assault by Auto, Driving While Intoxicated and Reckless Driving. David was involved in a motor vehicle crash on 4/25/2014 at 0018 hours on Route 40 at milepost 41.8. David struck Officer Longo’s patrol vehicle while he was on routine patrol causing serious bodily injury to Officer Longo. David is described as a white male, 5-11, approximately 170 pounds with green eyes. The warrant has been issued by the Honorable Judge HR Switzer. Anyone with information on his whereabouts is asked to contact Det. Frank Schalek at 609-625-2700 ext. 567.